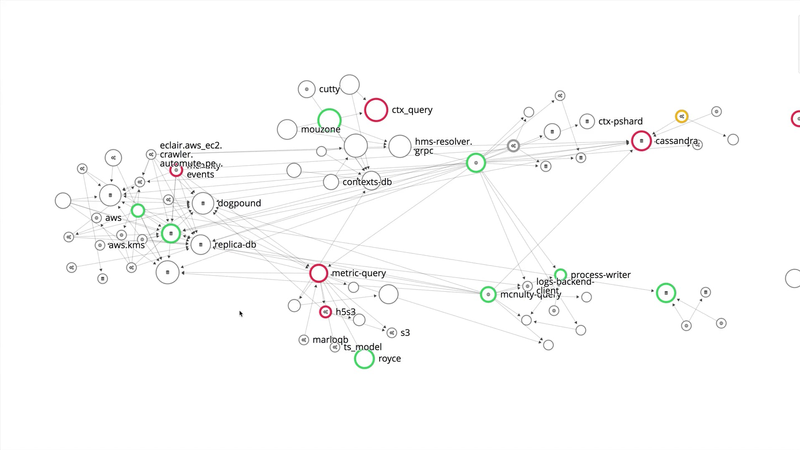 Collect, search, and analyze traces across fully distributed architectures. 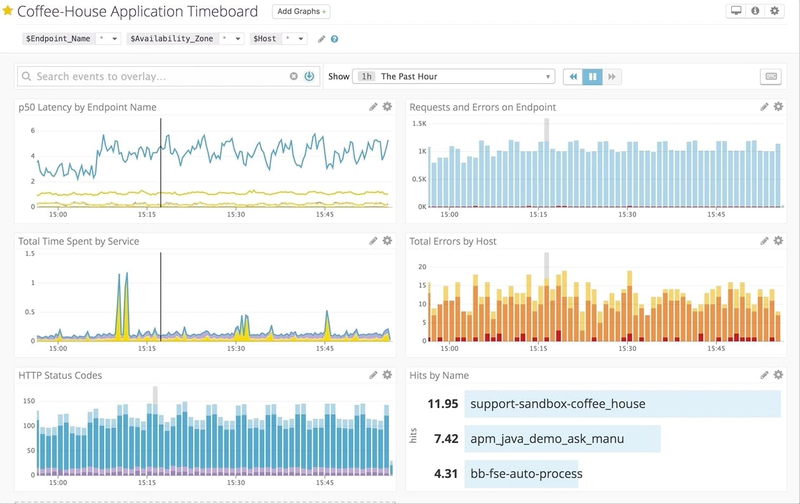 Datadog is built to support live root-cause analysis to reduce resolution time and help teams release features more quickly. Datadog tracks every request so you can slice and dice your distributed APM data on the fly using tags. Datadog is scalable, extensible, and easily automated to reduce overhead and ensure the right data is accessible to everyone who needs it. 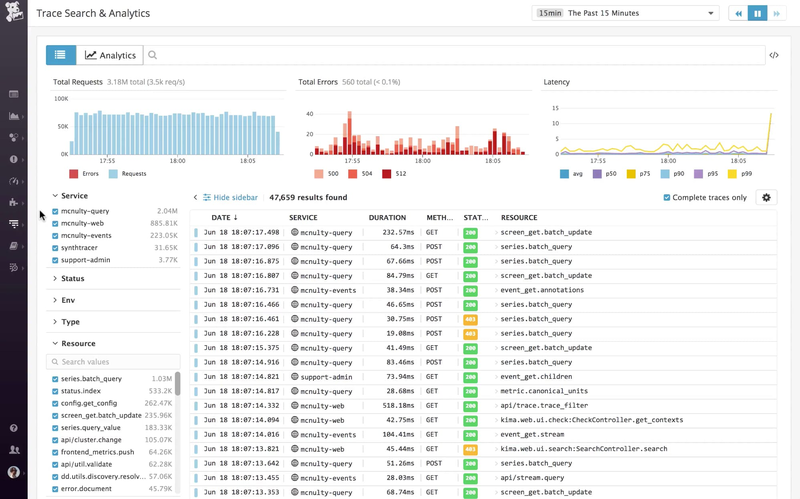 Datadog APM can automatically trace requests across many popular libraries and frameworks.